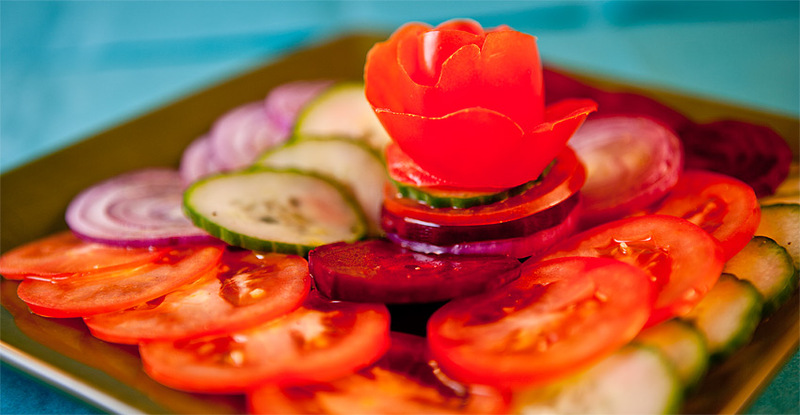 Drang-tsel literally means “cold vegetables” and is the Tibetan version of a fresh salad. Cold foods are quite rare in high, cold Tibet, where fresh vegetables have not traditionally been available, and Drang-tsel is not something that most Tibetans inside Tibet have ever commonly eaten. This is more a modern addition to Tibetan cuisine and will vary according to the tastes of the maker.